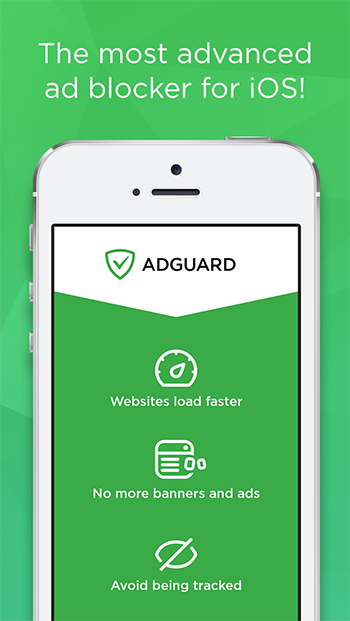 Dear friends, today we introduce new version of Adguard for iPhones and iPad. What’s new? Background info: starting with the first release Adguard had a tool for background filter updates. Sadly, it wasn’t working properly. The thing is, operating system assigns too little time for background loading and processing of the received data. Our app simply wasn’t able to finish loading of the updated Safari rules in time. With this update, we were able to optimize the process of background update. Firstly, we set the limitation – background update starts only if the device is connected to Wi-Fi. Secondly, we fixed several errors in filters, which resulted in better performance during the update. Finally, we altered the method of loading rules to Safari. Now we need significantly less time for that. Our tests showed that background update is working properly. We also added support of the following languages: Finnish, Korean, Turkish, Chinese (Simplified), Spanish (Spain), Ukrainian. Update now, new version is already available in App Store. Jokes aside, it was the most anticipated Adguard update ever!